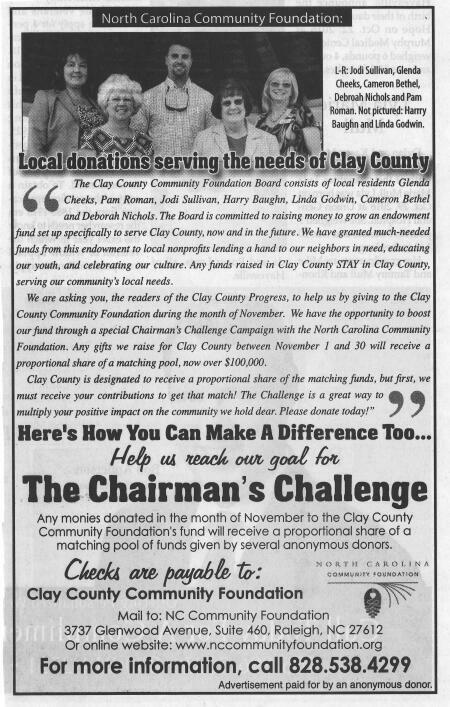 Hats off to the Clay County Community Foundation board of advisors for initiating a multi-week ad campaign to support local efforts of the Chairman’s Challenge, a matching gift campaign designed to boost local grantmaking. The series of ads features the board and several local grant recipients. Information about how you can support the local Chairman’s Challenge fundraiser can be found here.